Microsoft will start selling its new console, the Xbox One, without the Kinect sensor, eliminating one of the biggest criticisms of the new machine and allowing for a significantly lower cost of entry. The new Kinect-free Xbox One will retail for $399. The console launched last November for $500, $100 more than the rival PlayStation 4, which did not come with a bundled sensor. The company announced the new plan today on the official Xbox news site. Microsoft had bet that consumers, game creators and titans of industry would all benefit from a console that came bundled with the newest iteration of a sensor array that can react to voice and gestural commands. But with few games making use of the new Kinect in any recommendable away, the sensor had come to seem like a $100 tax with little immediate benefit. The Xbox One's most prominent game, Titanfall, doesn't use the Kinect at all. Microsoft has released some Kinect-only Xbox One games for the Xbox One, including Kinect Sports Rivals. It's also promoted the use of voice and gesture command to control the system's menus and video-streaming apps. 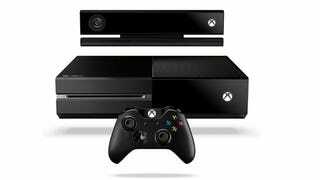 The plan to release a Kinect-free Xbox One is is yet another radical shift in policy for a company that's made several major changes to its Xbox One plans since the console was unveiled 51 weeks ago at an elaborate event at the company's campus. Back then, then-Xbox chief Don Mattrick promoted a console that required Kinect and was going to require an online connection check to play games. It was going to restrict the sharing of game discs but would offer unprecedented digital sharing of games. Gamer and media outcry against some of those policies led to a series of reversals just one month later, with Microsoft dropping its online requirements for single-player games, restoring disc-sharing at the expense of removing its innovative digital-sharing plans. But the company stuck by the Kinect concept, possibly due to the original Kinect's multi-million sales and essential revival of the Xbox 360 in the marketplace several years earlier. But the new Kinect appeared to do little to raise the Xbox One's fortunes, instead making the new Xbox costlier than the new PlayStation. Fifty-one weeks after all of that, Mattrick is at Zynga and long-time Microsoft gaming boss Phil Spencer now runs the Xbox division. A month into his tenure and Kinect is no longer bundled with the system, no longer bulging the price of the console and likely no longer holding the console back. Developers and entertainment providers will no longer have the peace of mind that all Xbox One consumers will have a Kinect. But they didn't have that on the Xbox 360 either. We'll have more about this news later today.